Stefan Forster, a landscape photographer from Switzerland, was shooting in Greenland during September 2018 when he spotted a wild white Arctic Fox. As many already know, most animals shy away from humans, but after hiding and crawling for about 3,300 feet, this majestic animal encounter happened, and it was all captured in a 50-second video. Read more for another video and additional pictures. 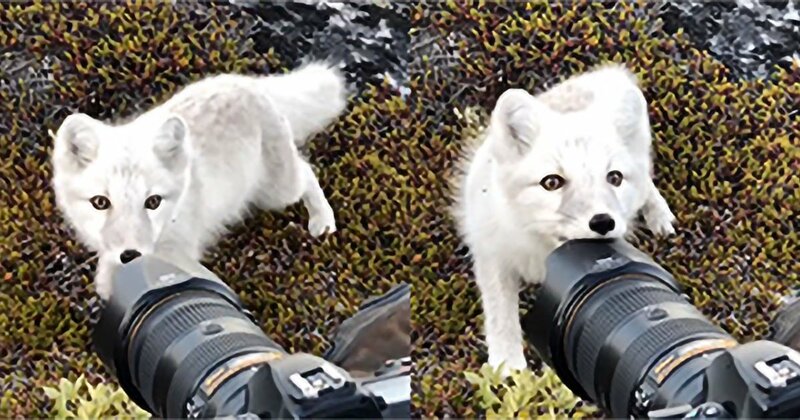 “It seems the fox was curious about Forster’s camera equipment and decided to approach to give the Nikon gear a closer look (and sniff and nibble). Forster is the owner and expedition leader of the photo school photocube.ch, which offers photography workshops all over the world.” reports Peta Pixel.